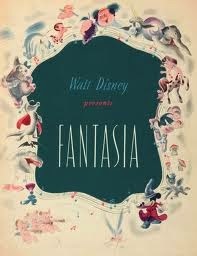 Walt Disney started work on what became the film Fantasia in the late 1930s - about 75 years ago. Seeing parts of it performed with live orchestra, the Cincinnati Pops - ‘our own’, as Conductor John Morris Russell likes to say - was a revelation. Now, I can’t stop wondering: What will seem as game-changing, exceptional, innovative, and entrepreneurial in the field of arts engagement 75 years from now? 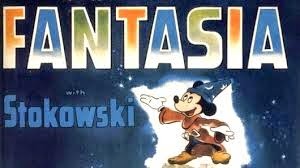 ..."Fantasia" wasn't intended to appeal to the "highbrow" audience. Disney was a man of limited education and unsophisticated tastes: He hoped "Fantasia" would bridge the gap between the large, general audiences that had flocked to "Snow White" and the limited world of fine music. In one story meeting, he said, "This film is going to open this kind of music to a lot of people like myself who've walked out on this kind of stuff." "He became excited about classical music and felt that putting his animation to it would make it appeal to an audience that wasn't into this kind of music," says [animator Ollie] Johnston. "And I think it did. It certainly opened up classical music to a lot of the young guys at the studio. In Fantasia the paintings on the canvas of Walt Disney's and his staff's imagination did not help but most of the time disturbed my appreciation of the music they tried to make me "see." One of two reasons, or both of them, may be chiefly responsible: either these imaginations did not live up to Bach and Beethoven and Schubert, or the whole idea of adding pictures to music composed to be appreciated best with the eyes closed is fundamentally wrong. Still, there was plenty of love for the film in the overnight reviews too. The New York Times film review by Bosley Crowther is marveling, while anticipating the storm to follow. For the vital report this morning is that Mr. Disney and his troop of little men, together with Leopold Stokowski and the Philadelphia Orchestra and a corps of sound engineers, have fashioned with music and colors and animated figures on a screen a creation so thoroughly delightful and exciting in its novelty that one's senses are captivated by it, one's imagination is deliciously inspired. In the same fresh, light-hearted spirit which has marked all their previous cartoons Mr. Disney and the boys have gone aromping in somewhat more esoteric fields; they have taken eight symphonic numbers which are generally reserved for the concert halls, let Mr. Stokowski's band record them on multiple sound tracks, and have then given them visual accompaniments of vast and spellbinding range. In brief, they have merged high-toned music with Disney's fantastic imagery. What the music experts and the art critics will think of it we don't know. Olin Downes is making the official observation for his department in an adjoining column. Probably there will be much controversy, and maybe some long hair will be pulled. Artistic innovations never breed content. But for this corner's money—and, we reckon, for the money of any one who takes it in the blithe and wondrous spirit in which it is offered—"Fantasia" is enchanting entertainment. This is one time, we warrant, you won't want to listen to music with your eyes shut. At the risk of being utterly obvious and just a bit stodgy, perhaps, let us begin by noting that motion-picture history was made at the Broadway Theatre last night with the spectacular world première of Walt Disney's long-awaited "Fantasia." Let us agree, as did almost every one present on the occasion, that the sly and whimsical papa of Mickey Mouse, Snow White, Pinocchio and a host of other cartoon darlings has this time come forth with something which really dumps conventional formulas overboard and boldly reveals the scope of films for imaginative excursion. 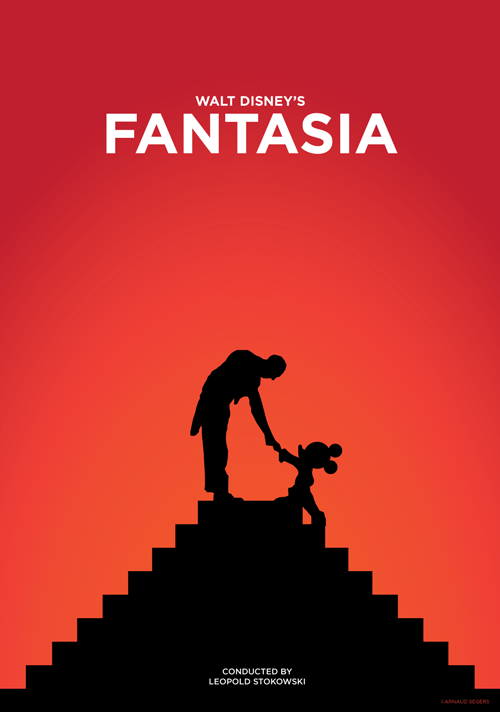 Let us temperately admit that "Fantasia" is simply terrific—as terrific as anything that has ever happened on a screen. And then let's get on from there. And there was an insider’s debate, it seems, with the unhappiness mostly on the side of music team purists, while the dance and film crowds cheered Disney and his experiment. All hail the experimenters with no credentials in the “fine arts” who create "aesthetic warfare" - wow, I love that. In 2014, the film’s impact is undeniable. The concert filled our enormous Music Hall with people of all ages, as noted by conductor John Morris Russell (JMR) when he asked the “young people” to cheer and welcomed them. Disney went all out on this film - creating new technology to make the audience feel as if the orchestra was live, hiring 1000 artists and technicians to move the needle on animation, bringing in ballet dancers so artists could study their movement, insisting on special equipment in theatres, and presenting a limited release that required people to reserve seats for the movies. Disney’s investment in getting the sound right was unprecedented and included seven weeks of recording the orchestra in their Philadelphia home, the Academy of Music because of it’s extraordinary acoustics. Imagine that - investing in seven weeks of recording with an orchestra of over 100 players! In the recording sessions, thirty-three microphones were placed around the orchestra that captured the music onto eight optical sound recording machines placed in the hall's basement. Each one represented an audio channel that focused on a different section of instruments: cellos and basses, violins, brass, violas, and woodwinds and tympani. The seventh channel was a combination of the first six while the eighth provided an overall sound of the orchestra at a distance. A ninth was later added to provide a click track function for the animators to time their drawings to the music. In the forty-two days of recording 483,000 feet of film was used. And he insisted on the creation of new technology from RCA to "create the illusion that the actual symphony orchestra is playing in the theater", new equipment from Hewlett-Packard, and development of the panning technique with a “pan-pot” to create the sense that sound was moving across speakers. In the end, 20 percent of the cost of the film was in getting the sound the way he wanted it. Fantasound - precursor to surround sound - was born with Fantasia. So now consider....what are we doing today to reach new audiences for classical music (and all the arts) that will be worthy of marveling over in 2089?